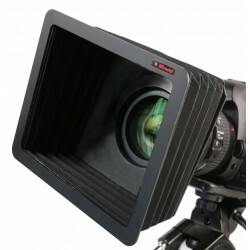 Lens Hood with 2 slots for glass, resin, gelatin or polyester filters mounted on self-adhesive cardboard frames. The Lens Hood is suitable for normal and long lenses with a self-supporting adjustable system, helps eliminating stray lights substantially improving the image quality. The adapter rings are mounted easily and are available in sizes from 40.5 to 95mm.